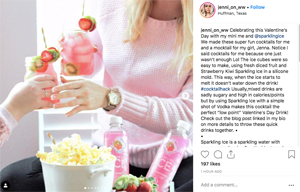 Sparkling Ice, that fizzy, fruity, no-calorie beverage, started mining highly specific target consumer groups last year that it then began messaging with personalized content. 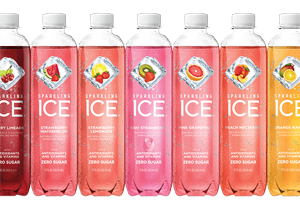 Sparkling Ice’s new logo and packaging design introduces naturally sourced colors and flavors. With help from Epsilon, shopper behavior and basket analysis helped understand and identify different segments of consumers looking for zero calorie, better for you options. Specific profiles began to emerge, like people participating in weight management or diets like the low-carb, high-fat Keto diet, or are perhaps pre-diabetic or diabetic. One important group for Sparkling Ice is Weight Watchers members. “A lot of times a Weight Watcher consumer might be purchasing zero calorie, low calorie weight management type products. That becomes that person we would say is someone who is interested in managing their weight,” she says. Once a group like Weight Watchers is defined, the brand engages influencers to help reach the target audience. Yesterday, @Jenni_on_WW posted this photo along with a post that read in part: Usually, mixed drinks are sadly sugary and high in calories/points but by using Sparkling Ice with a simple shot of Vodka makes this cocktail the perfect “low point” Valentine’s Day Drink! As an example, to get underway with the new marketing strategy last year, the bulk of Weight Watchers influencers were unpaid up until the fall when a more robust partnership strategy was put in place. One paid influencer was activated—@TheShrinkingMomma—who did a series of posts: intro post, giveaway post, recipe post, Instagram slides. This year, that strategy is being ramped up with four paid influencers along with a series of unpaid. The first paid Weight Watchers influencer, @Jenni_on_WW began posting content yesterday, the day before Valentine’s Day. 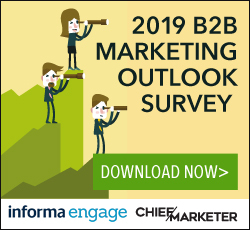 Beyond influencers, marketing includes an integrated strategy, most recently to message out the news that the beverages are now all natural ingredients. 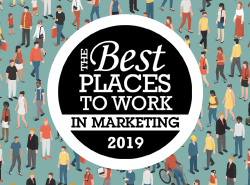 There are field marketing teams at events—like the upcoming South by Southwest—and lots of sampling. Through programmatic display buying with Epsilon, banner ads are posted on websites likely frequented by Weight Watchers members or at the Juvenille Diabeties Research Foundation to reach diabetic consumers.